• intervene within the IG system informed by their observations and interpretations. Suggesting professional movement beyond the HIM traditional confinement to the EHR, Sheridan and Watzlaf note that "governing all types of information—the entire information lifecycle—is crucial in order to have a successful IG program." For radiologists ready to move beyond the traditional electronic and paper boundaries erected in defining the legal EHR, the explosion of multimedia data presents itself as an enormous opportunity to manage new electronic information assets. Multimedia images are cropping up all over health care, and the idea that they will be part of a complete EHR is becoming increasingly acceptable as part of quality, safe patient care. Images need not be directly included with the records, provided they are linked in a way that is transparent to the user. If images are not an integral part of the EHR, the IG team will be tasked with keeping the systems that maintain the images in sync with the official EHR. 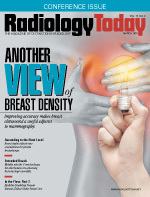 As the world of medical imaging grows, even small radiology practices will need to capture and organize the output of these systems as information objects. Up to this point, IG efforts have focused on the traditional content of EHRs such as structured data and some textual information. Although structured data may be as little as 20% of EHR content, it is relatively easy to manage in comparison with the deluge of image objects coming down the pike as medical specialties gear up to add more images to create complete documentation of their patient care. • Oncology: CT scans and photographs as patients progress through radiation therapy. On the consumer side, the trend of patients photographing their wounds or body abnormalities may emerge as an IG concern. The issue of patient selfies is likely to be raised more frequently as remote care becomes more common. If such images are to become a part of the EHR, standards and protocols will need to be in place to determine appropriate inclusion. There is also the issue of how to manage images sent to physician phones and the associated comments or orders. According to Sheridan and Watzlaf, the enormity of imaged files will result in HIM professionals having up to 80% more content to observe and diagnose. Part of the documentation must consist of the types of images that will soon characterize the electronic chart world. For example, DICOM covers objects such as CT scans but may not include the cone beam CT for extremities that many technologists now want to use in a mobile setting. The role of photographs is growing, reflecting a lack of satisfaction with the scanned black and white images currently available in electronic charts. Clinicians desire 2D or 3D spatial pictures and, eventually, holographic images that can be seen in open space. The capability of performing ultrasound studies in ambulatory settings nearly anywhere in an organization has facilitated this quest for better images. Once observations, diagnoses, and system interpretations are completed, documented, and reported to the organization's IG group, interventions can take place. Larger organizations must create an organizing principle for standardized image acquisition in which both the image protocol and the means to attach it to the encounter are exactly the same throughout the organization. In the search for an enterprise imaging system, several technical challenges will require IG interventions. For example, image size and volume must be factored into the equation. In a large health care system, the multiple existing proprietary imaging solutions already purchased by various medical specialties and ambulatory entities create or capture images of various size, resolution, and purpose. The IG challenge is to determine what resolution is medically necessary, the amount of electronic storage space required and available per image, and where the images will be stored; this is where cloud solutions come under discussion—who will create an index of the images and how the images will be named and defined. Desirable technical characteristics of an enterprise imaging solution include an organizational tool to manage the volume and size of the impending flood of images. In the April 2011 issue of the Journal of Digital Imaging, Steve G. Langer, PhD, DABR, CPII, of the Mayo Clinic, said, "Data storage challenges faced by researchers can begin to require professional information technology skills." Langer believes IG teams will encounter several roadblocks, including "processing and data mining on nonstandard file formats and relating those files to their DICOM standard descendants." He adds that one remedy may be a solution that "scales as the researcher's need grows by leveraging the on-demand provisioning ability of cloud computing." Limited bandwidth can be a tricky obstacle for enterprise image management and IG to overcome. A failure to do so may result in an inability to accurately access large sets of images, which impacts patient care and potentially patient safety. Images must be viewable both individually and as sets, and context must be provided. Because images sent from one system can forestall taking more images in another, this makes financial sense. Fragmentation of imaging systems within an enterprise can lead to repeated tests that can produce variability in execution results and increased radiation exposure. Clinicians prefer that images appear transparently in the EHR and with consistent resolution. These conditions imply that an IG group has developed resolution standards and approved a methodology for images to appear in the EHR without physicians searching through multiple systems. Interaction with external systems such as health information exchanges creates additional demands on IG teams. Metadata associated with images must be standardized for inclusion in the EHR and for interoperability purposes. In addition to the resolution of multiple technical barriers, IG groups must make efforts to reduce practice variation. As technology delivers the wherewithal to enable just about anyone to take images—for example, the ability to take ultrasound studies in most ambulatory settings—IG groups must be in place to guide appropriate credentialing of those "photographers" and reduce practice variations both to control costs and to ensure that the resulting studies or images will be worthwhile to clinicians and support quality care even if the patient visits a provider outside of the enterprise system. Patient safety involves IG oversight of images—in fact, the limited financial resources available to health care entities necessitate it. Radiologists should be able to guarantee that patients can access a lifetime of radiation loads and never undergo unnecessary or redundant radiological imaging because the original films could not be found, did not have adequate resolution, or reside in another health care system in which interoperability solutions are unavailable. IG should also be able to deliver patient identity solutions that can provide patients with all of their images and reports in one centralized electronic record viewable from anywhere at any time. As part of creating a longitudinal medical record accessible over a patient's lifetime, IG is responsible for the oversight of safe and secure storage of patient information, including images. When the volume and speed of the exchange of patient information increases, the challenges of securing those data grow. When the information includes all types of images, including photos, IG professionals must implement new levels of cybersecurity. An EHR is not merely a replacement for a paper chart. Rather, it's an active, dynamic entity full of multimedia demanding complex legal and technological support. — Sandra Nunn, MA, RHIA, CHP, is a contributing editor for Great Valley Publishing and principal of KAMC Consulting in Albuquerque, New Mexico.